I went to the ART DECO EM PORTUGAL Exhibition at Lisbon's Chiado Museum. Out of maybe a hundred pieces on display, I photographed the few that may possibly have fit into the Pulchrist purview. Art Deco's function was the mechanization of art. Art bottomed-out during the twentieth century, and Art Deco was the slow death of Art Nouveau. Art Nouveau was, arguably, the pinnacle of the Renaissance - surpassing even the rococo in luxurious asymmetrical beauty. Cubism was a milestone - rather than an invention - in the not-so-gradual program of decay foisted upon the art world by industry, beginning in full force in the mid-nineteenth century. 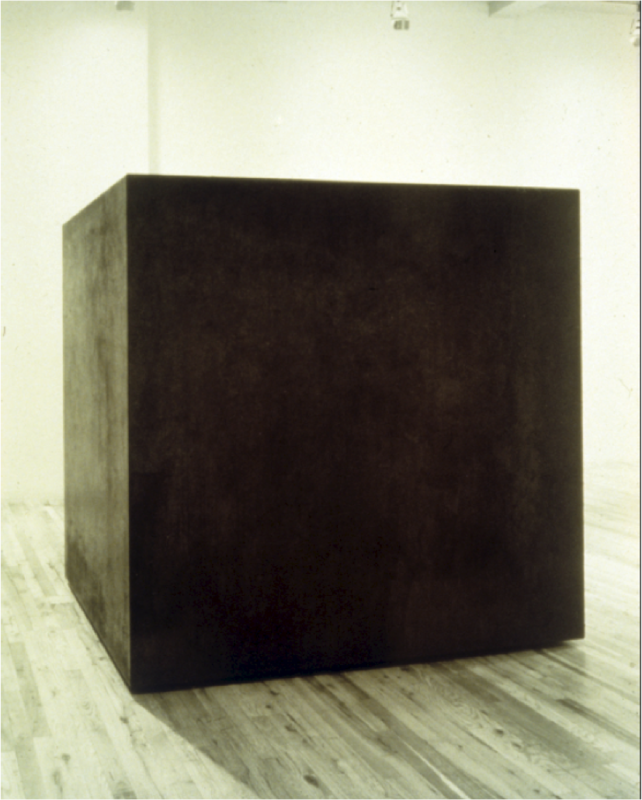 By the time Tony Smith's Die (pictured right, from this link) came into being, all artistic form had been reduced (killed) to nothing, or perhaps to the distilled perfection of the cube. It's interesting and beautiful to note that Sol Lewitt started rebuilding with cubes at just about the same time that Smith had reduced three-dimensional art even further than it had been murdered in two-dimensional form by the Suprematists. Overall I found the Art Deco exhibition uninspiring, and there was an aroma of socialism in the air. To sum up, I think Art Deco is communized, socialized, and geometricized Art Nouveau. The transition between Art Nouveau and Art Deco can be seen in all its obviousness in the above illustration entitled "O Beijo" ("The Kiss") by Jose de Almada Negreiros, and below in the rather attractive vase by Ernesto Canto da Maya. Cover for "As Criminosas do Chiado"
The above religious painting - Anunciacao by Jorge Barradas - stood out as genuinely beautiful, while being fully in the Art Deco style. Although there are relatively few Art Deco buildings in Lisbon, the Eden Theater (Teatro Eden) stands out as one of the best, and most beautiful examples of the style in the world - with its arborious recessed atrium.